Subscribe to our newsletter to be the first to hear about new updates and offers. 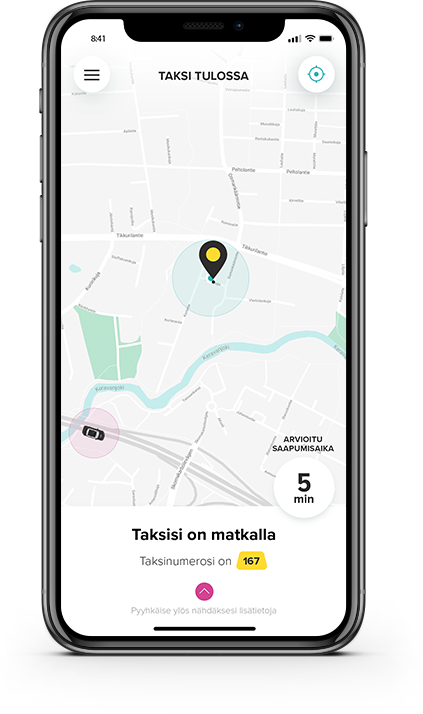 With the Taksini app, you can get a ride without a wait in a queue. 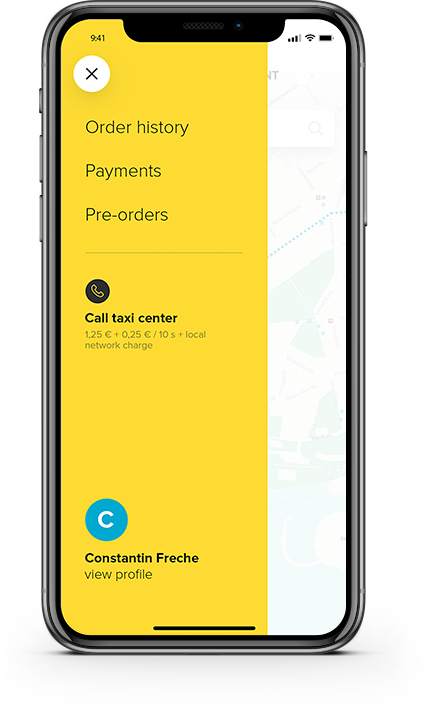 You’ll get an estimated arrival time when the driver accepts your order and you’ll receive a notification on your phone when the car is near the pick-up location you chose. 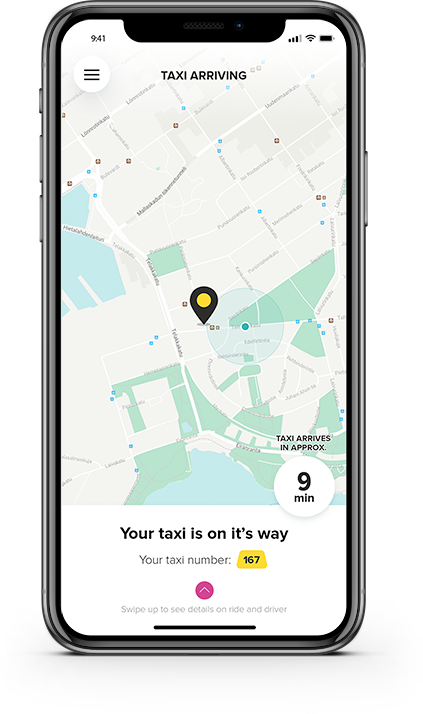 With the app, you can order your taxi easily also in advance, for example for the following day. 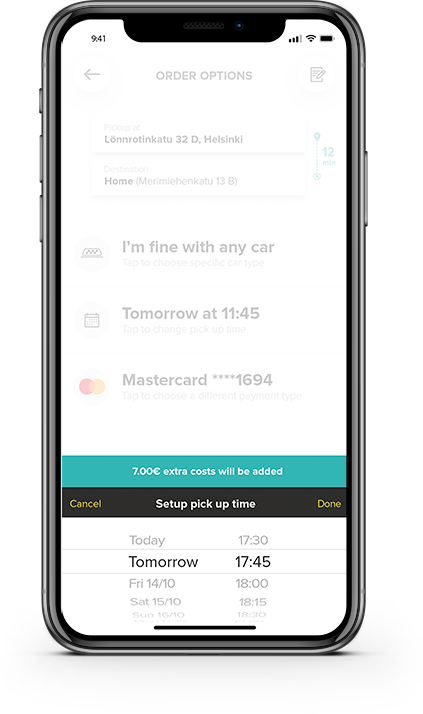 By confirming your ride in advance, even early mornings get less stressful. 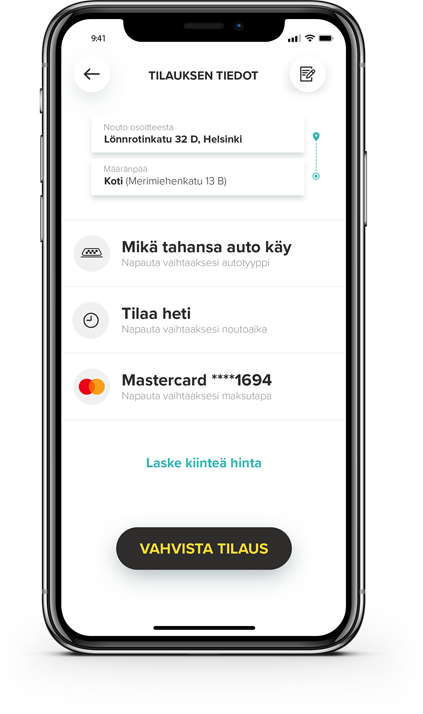 You can pay your ride straight through the app, with the payment card of your choosing. 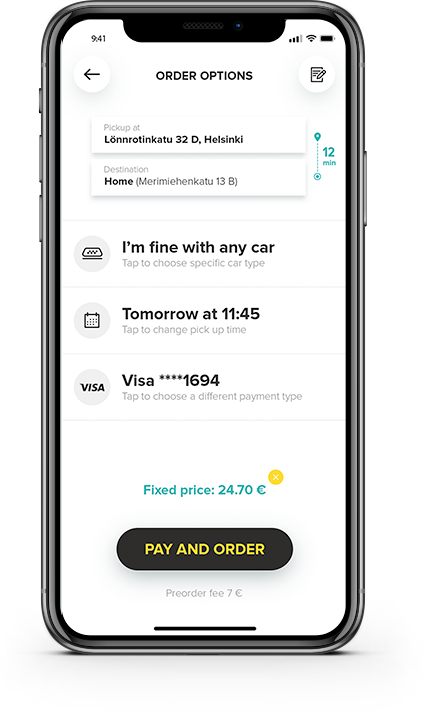 You’ll always receive a receipt of the ride to your email, right after the ride finishes. 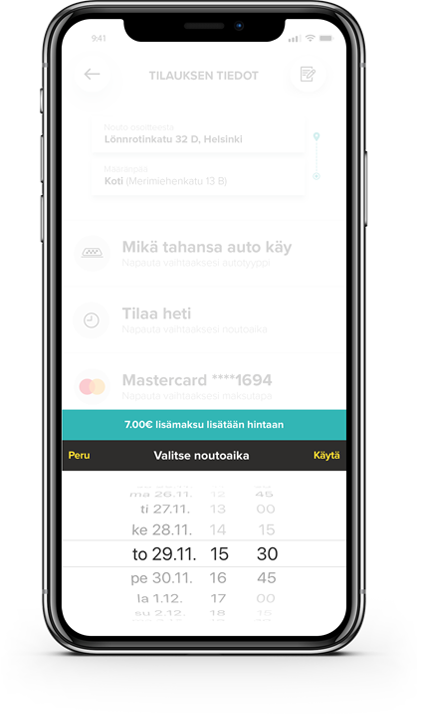 When ordering a ride with the Taksini app, you can see what you are paying for and how much. 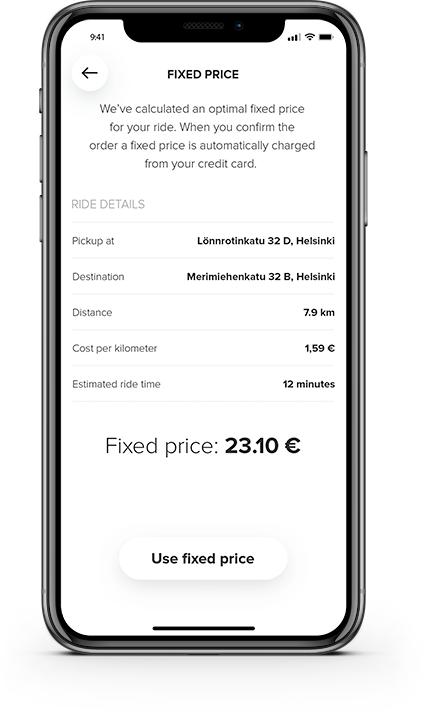 Paying through the app always gives your ride the best fixed price. 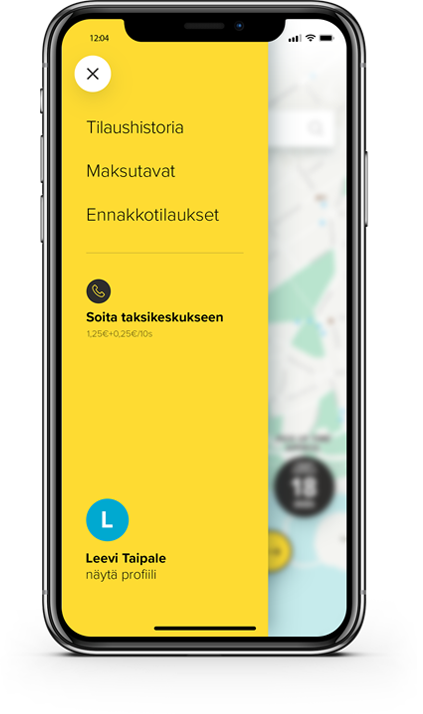 Your profile keeps your rides, addresses and recipes of the rides paid through the app safe. Taksini is available in this area. 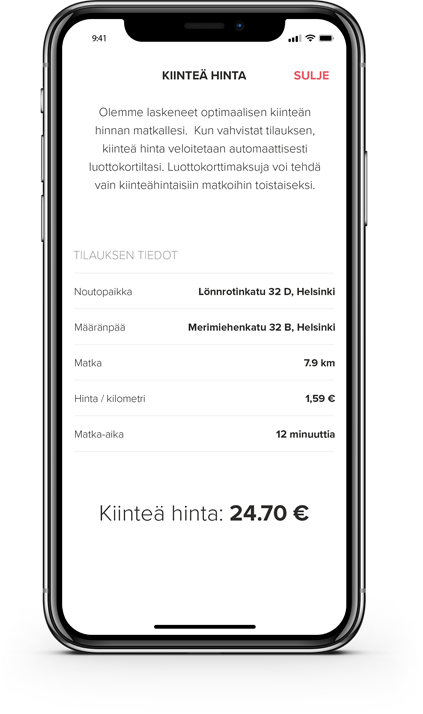 Order our newsletter and stay up to date what happens with Taksini application. Check out the service terms of Taksini applications.